Nancy Dean Dunsworth Coble passed away peacefully on November 13, 2018 at UT Southwestern Hospital surrounded by her family. She now runs free in Heaven with her Savior Jesus Christ. Services: Viewing will be held at Wade Family Funeral Home on Friday, November 23 from 6 to 8pm. The funeral service will be held at Trinity United Methodist Church on Saturday, November 24 at 1pm followed by a graveside service at Arlington Cemetery. A reception will be held immediately following for family and friends at the family home until 6pm. Memorials: In lieu of flowers, you can make donations to either the Ila Nadine Coble Memorial Scholarship at Stephen F. Austin State University (SFA Alumni Foundation, PO Box 6096, Nacogdoches, TX 75962) or The H.A.D. Dunsworth Memorial Scholarship at UTA (UTA Development and Alumni Relations, Box 19198, Arlington, TX 76019). Nancy was born July 5, 1936 in Arlington. She graduated from Arlington High School in 1954 and went on to attend Arlington State College where she fell in love and married her husband, Wayne, in 1955, with whom she celebrated 63 years of marriage this year. They moved to Stillwater where Wayne played football and they both graduated from Oklahoma State University. They moved back to Arlington where they raised their family. Nancy ran the accounting department at Coble-Cravens, Inc. for many years until their retirement. She truly was the strong and courageous heart of her family. Even in the comfort we have through her eternal salvation, we all miss her deeply, and her memory will live through the many lives she has touched. She is the daughter of H.A.D. Dunsworth and Ruth Butcher Dunsworth of Arlington. Nancy was preceded in death by her granddaughter, Ila Nadine Coble. Survivors: She is survived by her husband, Wayne Augusta Coble; son, Dean Wayne Coble; daughter-in-law, Theresa Goldman Coble; daughter, Laura Lee Coble Perkins; son-in-law, David Scott Perkins; grandchildren, Jackson Elliott, Dean Perkins, Katherine Augusta Lee Perkins, Harrison David Wayne Perkins, and Ivan Barrett Coble. 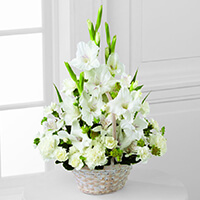 To send flowers to the family of Nancy Dean Coble, please visit our Heartfelt Sympathies Store. 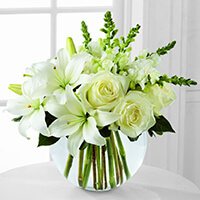 Wayne, words cannot fully express the sorrow I feel after learning about the death of your sweet beloved wife. May you treasure the wonderful times and memories you had with Nancy. My prayers are with you and your whole family. God bless you. Wayne, BJ and I are deeply saddened over the loss of dear friend of 50 years. As you probably know, Nancy and I go back to grade school days at John A. Kooken. We loved her and will miss her beautiful smile. We will miss her so much. Love you all.